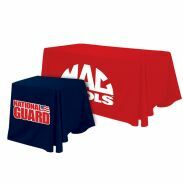 Cover your Instant Table™ with a form fitted custom table cover. 3 height options also available. 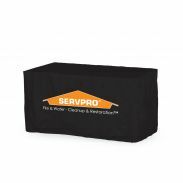 Multi-purpose Vendor Table Covers gives you instant branding while covering your materials stowed beneath the table. 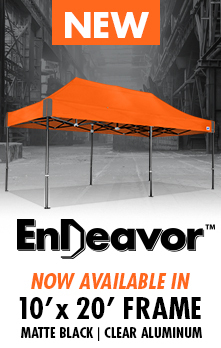 Using the same fabric and graphic capabilities as your E-Z UP® portable shelter, you will match perfectly to your Instant Shelter® ensemble. 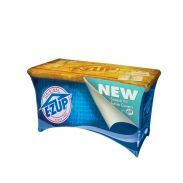 2.5’ x 6’ x 36"
Turn your E-Z UP® vendor table into a marketing billboard with a NEW stretch fit table cover by International E-Z UP. 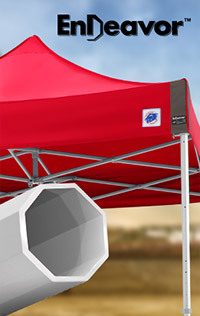 E-Z UP® Table Throws are the perfect complement to your shelter set up. 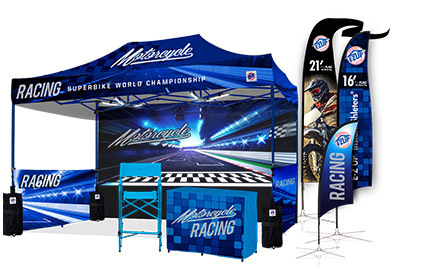 Great for instant signage. 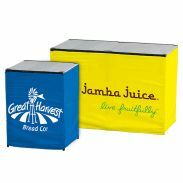 E-Z UP® Table Runners are a simple and cost effective way to add branding to any table. 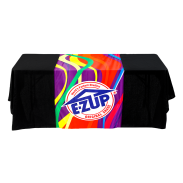 Set yourself apart from the crowd and add a finishing touch on a E-Z UP® Table Cover. 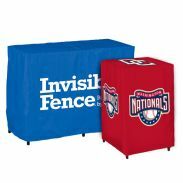 Fit your Instant Table™ with a form fitted custom table skirt that exposes the folding top panel for an updated look.